Need it quickly? Call now! See the bigger picture and not the pixels with 4 times the resolution of 4K. Get closer with enhanced colours, texture and skin tones that makes every seat the best in the house. Using machine learning, the technology is able to rapidly compare the image data it is receiving with millions of picture formulas that are stored in its ever updating formula bank. It then recreates the image texture, edge definition and level of detail at a much higher resolution of up to 8K. What exactly is 8K resolution? 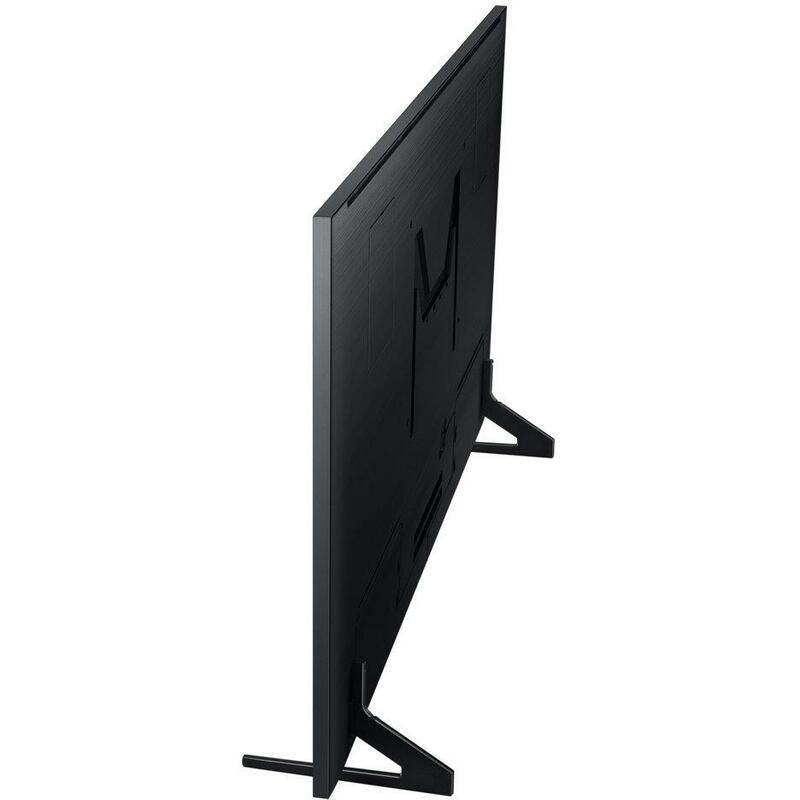 It's super high resolution 4 times higher than 4K UHD and 16 times higher than FHD. With more than 33 million pixels, Samsung QLED 8K Q900R gives you an amazing pixel-less viewing experience. It's real 8K resolution. Feel distance in a whole new way. Samsung QLED 8K Q900R's high resolution shows you even the small details in every scene, giving you more depth and immersing you even further into a new 8K reality. 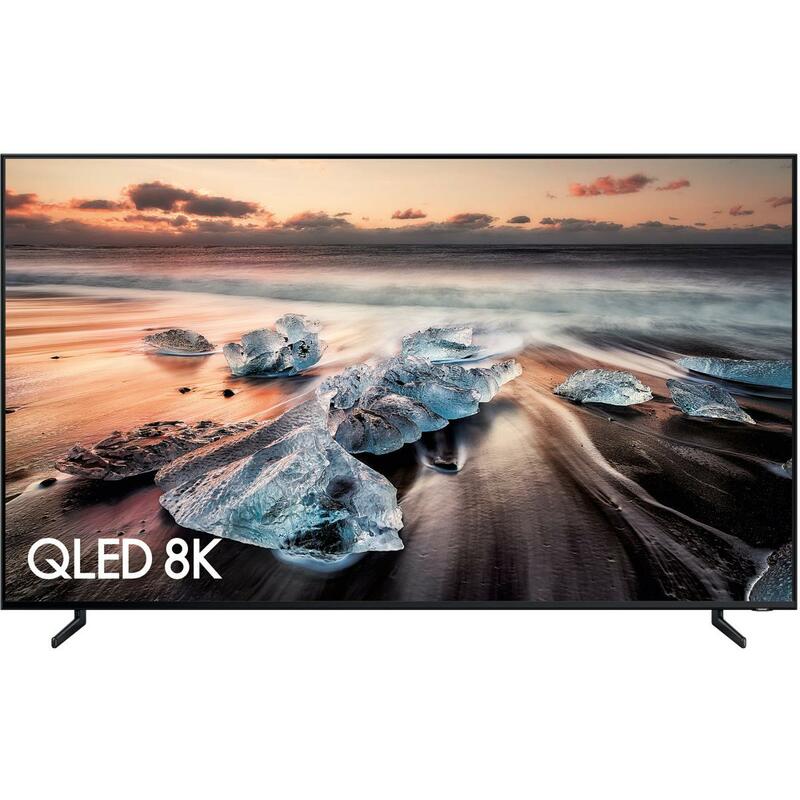 Samsung QLED 8K Q900R delivers the clarity you've been expecting on a larger screen, with no visible pixels no matter how close you are to the TV. Just the joy of pure immersive reality. 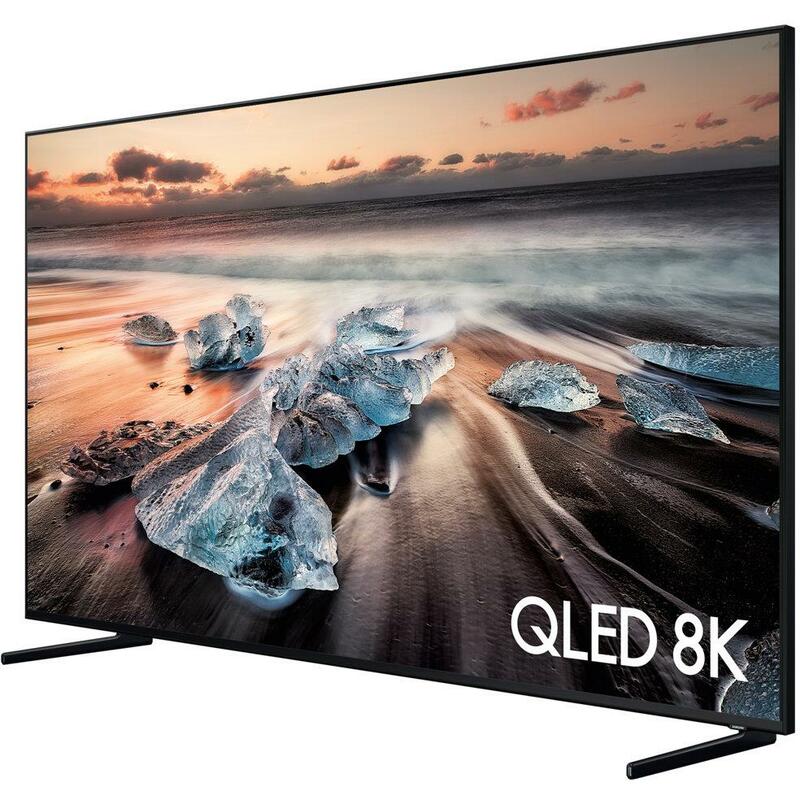 The Samsung QLED 8K Q900R's AI upscaling technology analyses the source video and recreates accurate information about each pixel, including the image texture, edge definition and level of detail. This allows it to upscale every detail to 8K resolution. *Machine Learning Super Resolution (MLSR): Upscales various types of sources and resolutions to 8K picture quality by processing through machine created formulas. Powered by AI, Samsung's incredibly powerful processor not only intelligently optimises picture quality and sound, but also connects to other home devices and provides new TV viewing suggestions and experiences. The intelligent engine behind the Samsung QLED 8K Q900R automatically analyses every scene, giving you the best sound to match it. Whether it's an important dialogue in your favourite movie or the biggest game of the year, you'll get the most optimised sound possible. Just like being there. TV entertainment will never be the same. Get the personally curated content you want with just your voice. Just speak up. There's more to intelligence than just picture quality. Samsung QLED 8K Q900R adapts to you and everything around you. Match your TV background colour with your wall by simply selecting from various Wall Samples. 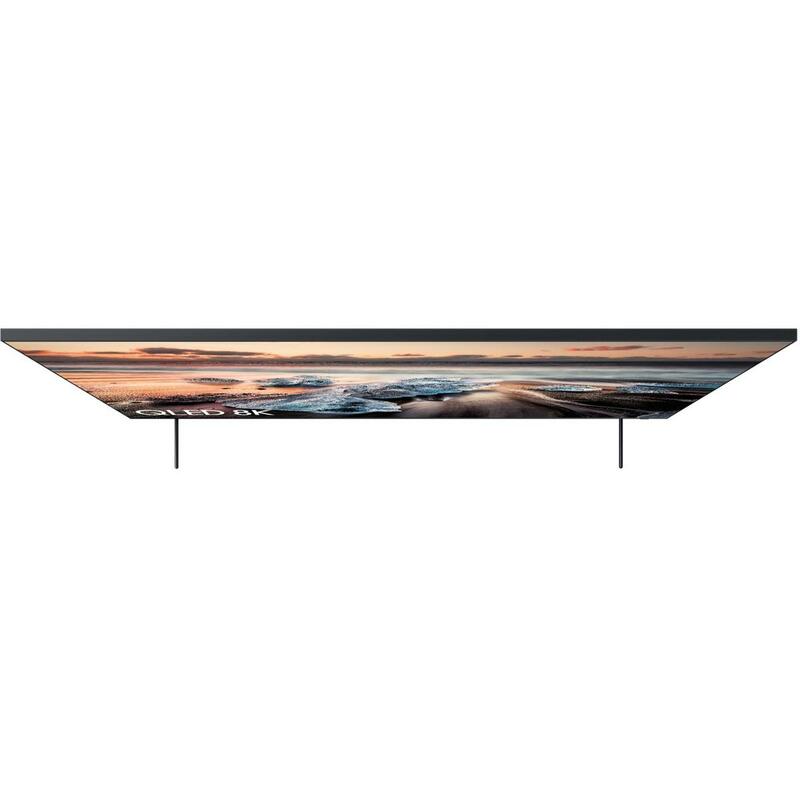 Transform your TV into a part of the surrounding interior. *The Ambient Mode service specification and GUI vary by model and region. **The Ambient Mode background setting feature may vary depending on the environment where the TV is installed including, but not limited to, wall designs, patterns, and/or colours. Only Samsung delivers exceptional detail, just as the creators intended, with incredible HDR brightness. Never miss the nuanced detail in the dark shadows of a horror movie or the bright sun-filled scenes of the latest sci-fi. QLED technology delivers the highest brightness levels from any TV to date. Direct Full Array Elite accentuates even the small details by directly controlling each individual light unit. See dark areas darker and bright areas brighter. Only Samsung QLED is certified to deliver 100% colour colume*, making movie nights spectacular and enabling you to experience sport as if you're in the stadium. *100% colour volume measured to DCI-P3 standard, certified by VDE. See for yourself how Samsung QLED 8K Q900R can elevate your viewing experience with its refined elegance and style. 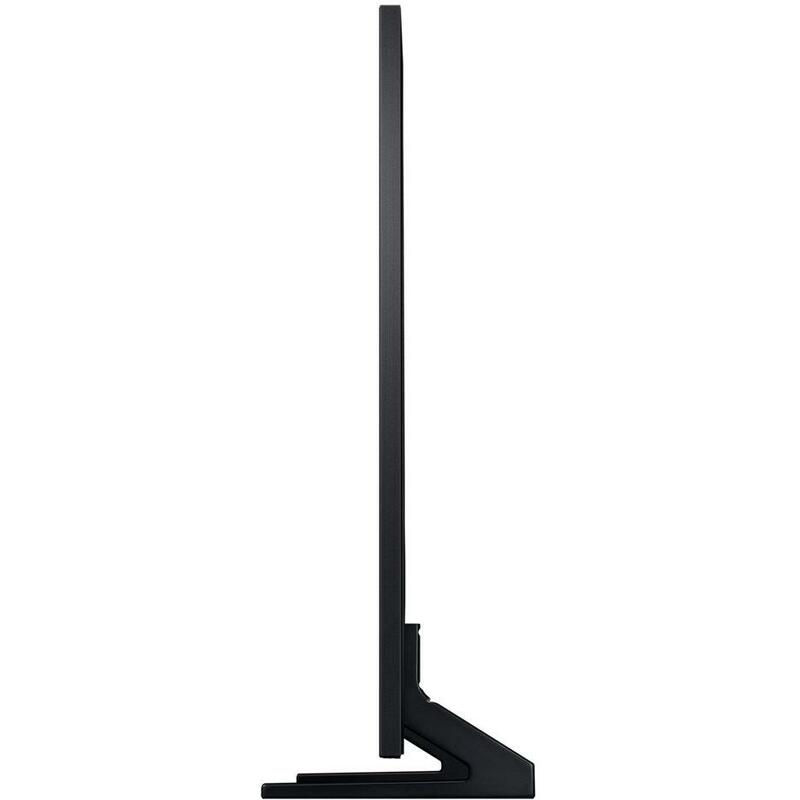 Only Samsung allows you to replace your TV anywhere in the room free from messy cables with our Near-Invisible Cable for all your connections. Hide all your devices out of sight with the One Connect Box and enter the minimalist living space of tomorrow. *Devices must be connected to One Connect. Get to your entertainment faster, easier, and intelligent way. A personal assistant that has you covered, a remote to control, and a simple hub to control devices. Search less, and watch more. Enjoying TV has never been this easy. Don't waste time worrying about what to watch next. Universal Guide not only shows you poular shows and content, it recommends content specifically to your viewing preference by analysing your viewing pattern over the past few months. Easily control connected devices and content with just One Remote Control. It also has an auto detection feature, which automatically connects and labels connected devices. Easy to find, easy to use. SmartThings turns your TV into a dashboard for your smart home devices, from fridge to mobile. It gives you seamless interactions and lets you control and monitor your smart home the intelligent way. Get your TV up and running from your mobile with an easy set-up process. Most steps can be done automatically using the information on your mobile. All you need is your mobile for the simple 4-5-step set up. Hear about the latest products and special offers first!